The objective is to make you well-versed with the cons of excessive borrowing, the steps to take while availing the loan, and how to get out of a debt trap. 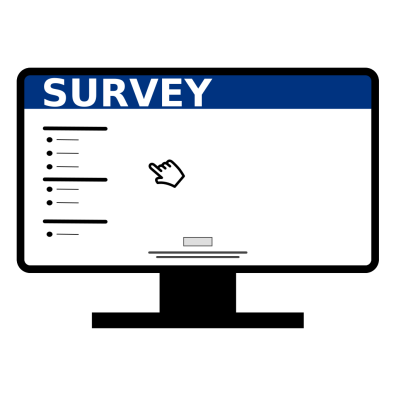 We'll not only provide you vital checklist, but will be explaining these aspects to you vide a case study that makes learning practical and interesting. Traditionally, Indians have been quite averse to buying on credit. Don't be shocked with the statement! It is absolutely true. You don't have to look too far to assess it; just ask your parents if they purchased as much on credit, as you probably do now! Your parents probably never lived on debt and if they borrowed, they probably did only in cases of emergency. Among the many customs and trends that have changed, even handling of a personal finance has seen a sea-change. To satiate aspirations - be it buying a home, appliances, car, bike, etc. 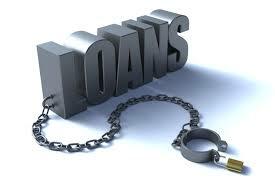 - availing a loan is very common. Thanks to the capitalism, materialism, and competition we're surrounded by - which has given banking and financing a new life. Our experience shows that many a times, people overindulge without recognising the consequences. As a result they land up in a situation of debt-overhang. Their financial condition is like that of Greece - making merry but combating to repay. You see, availing credit or a loan is fine as long you know the means to service it and are borrowing prudently. Know your finances precisely - Have a clear understanding of your monthly cash flows (cash inflow and outflow). Draw a budget wisely; it brings about much needed discipline and gives a picture of how hard-earned money is being spent, and helps take a corrective course of action if need be. Ascertain why you are borrowing - Borrowing money for important life goals like buying a house may be unavoidable. However, check your ability to repay vide the EMIs. So, borrow only the amount that can you can comfortably repay; or to simply put, bite as much you can chew to avoid the discomfort later. Wherever possible live by the rule of living within your means. Recognise what will be Debt-Income Ratio (D/I) - This ratio will help you gauge how much should borrow vis-a-vis your income. Higher the D/I ratio; more the trouble you may encounter to repay. Therefore as a thumb rule remember, that your total monthly debt commitments (such as home loan EMIs, credit card payments, EMI for a car, etc.) should not exceed 40% of your gross income. So, if your monthly gross income is say Rs 50,000, your total monthly debt contribution should not exceed Rs 20,000 (50,000 x 40%). Ascertain how you're going to repay the loan - To avoid burning a bigger hole to your pocket as a penalty, timely repayment of the loan is a must. 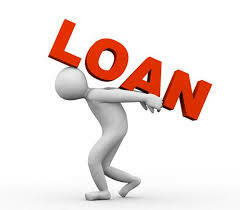 So, if you're thinking of availing a loan, ascertain the bearing on your household budget. Account for it and recognise the interest rate cycle you would be in if you're opting for a floating rate loan. Take a floating interest loan during a rising interest rate scenario can be perilous. Calculation of interest saved on a Home loan of Rs 50,00,000 at 9.35% p.a. Note: The above table is for illustration purpose only. For a home loan of Rs 50,00,000 borrowed at 9.35% p.a., it is evident that you save Rs 19,89,420 on a 25-year loan and Rs 38,70,600 on a 20-year loan when you compare it with the total payments of a 30-year loan. Pay-off the debt with the highest interest rate first - In a world accustomed to plastic money, increasing credit card debt is a huge problem. Credit cards charge the highest interest rate. The moment you carry forward your payment to the next monthly cycle, you will have to pay a steep interest charge on the unpaid amount besides the tax thereon - and this is very expensive in the long run. Thus, ideally pay your credit card dues in full - and if you're unable to do so, don't hesitate to talk to the credit company; they may help you restructure your repayments. Also, don't shy from taking services of a credit counsellor. He can help you get off a credit card debt trap. Have you accounted for Emergencies - Life isn't certain. There are uncertainties looming and the only way you can mitigate the risk there is by being prepared with prudent contingency planning. Ideally maintain 6 to 24 months of regular monthly expenses (including EMI on loans) parked in liquid funds or a savings bank account. This will provide some cushion in case of loss of job, medical emergency, or any unfortunate event that comes when it's most unexpected and has a bearing on our financial health. Ensure you hold adequate insurance - As a bread winner of the family you ought to honestly address this question: "Am I optimally or adequately insured?" Making a fair assessment will help you gauge where you stand. 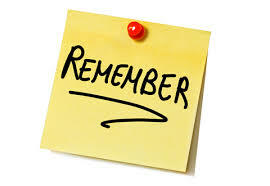 Remember, insurance is a contract of indemnification and hence should not be ignored. You see, for long term loans (such as home loans), lenders make it compulsory for borrowers to purchase a reducing term insurance policy and assign it in their favour. The objective is to protect the financial interest of the lender and the family, in case of an untoward incidence. Are you saving enough for the golden years - When you borrow - and especially when you're over-leveraged - the question you need to ask yourself: "Am I compromising on my retirement needs?" As per the survey conducted by Willis Towers Watson, more than 51% individuals from the Asia Pacific region, believed, they were worse off in retirement than their parents. So while you may borrow, ensure that it's not done to the point where vital long-term financial goals are sabotaged. Keep your family in the loop - When you're planning to acquire a loan, make sure you discuss it with your family. Sharing your rationale with them before availing the loan would help you gain a better perspective. Keeping your spouse in the dark on money matters, may not be in the best interest of your marriage and your family's financial wellbeing. There could be a possibility that your spouse, may productively help - say if she/he has some money to spare, you could avoid availing the loan altogether. Live within your means. Borrow considering your repayment capacity. Your debt-to-income ratio shouldn't exceed 40% of your gross income. Borrow money to invest only when you're allocating it to real estate. If not, when the markets decline, you will not only suffer losses, but will be strapped with an EMI as well. Ensure you have an adequate term insurance vis-a-vis the loans. This will ensure repayment of the loan in case of any unfortunate event. While taking a loan and managing it, make sure you aren't compromising on your retirement needs. Retirement is an important life goal and you need to plan for it prudently much as your child's future - their education and marriage needs. Discuss with your family before you plan to take a loan.